As Ramadan is approaching, this is an appeal and reminder to those who are thinking about Zakat contribution or general Sadaqa (Charity), that we at Porshee Foundation are collecting contributions bi'iznillah. 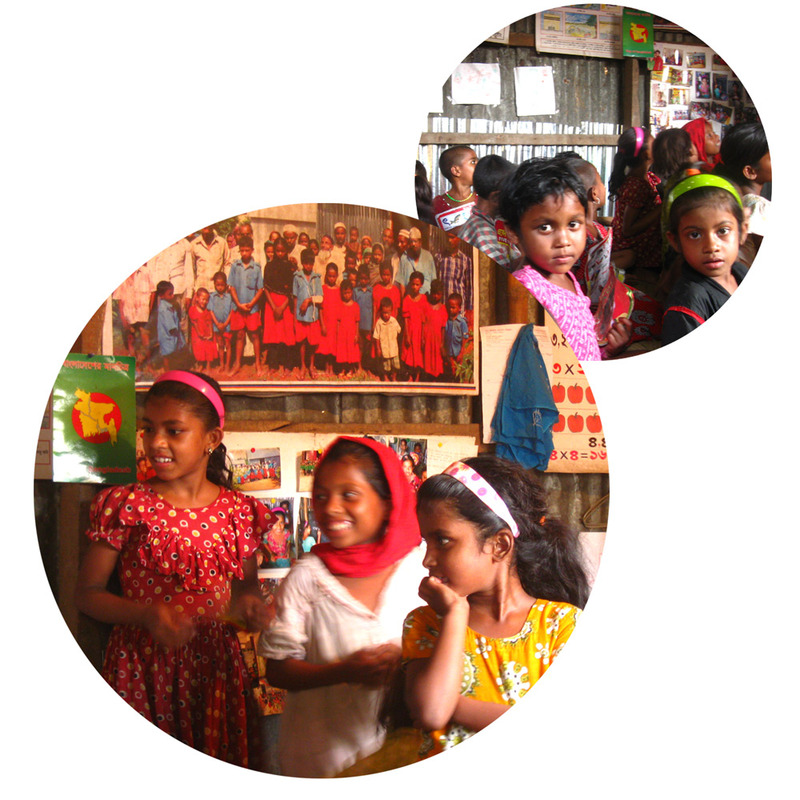 We primarily support the most poor, vulnerable, orphans and other disadvantage groups in society here in Bangladesh. In the past our scope of work spanned across a number of activities such as donation of clothing during winter, providing emergency medical aid to those who cannot afford it, giving interest free loan and fund for self-sufficiency of the ultra poor, distribution of food etc. Recently, with your generous contribution we were able to feed orphans, provided support equipments for the poor handicapped, support education of marginal children, installed hand operated tube-wells in less developed rural areas, donated training equipment for training of physically challenged people. To realize this, our mission is to work with individuals and communities where extreme poverty compromises human dignity. Our engagement is aimed at achieving positive changes through educational, health-care and economic programs enabling children, men and women to improve their lives in a self-sustaining manner. Why you may donate here? Porshee Foundation is a very small, seeding organization that is run entirely by volunteers and thus its administration cost is next to zero. We do not have fancy office, neither do our executives take any salary from this work. All donation along with contribution from our volunteers goes to the beneficiaries which is unique to Porshee Foundation because this is seen as a work for the sake of Allah, not as a mean for supporting ourselves in any case. 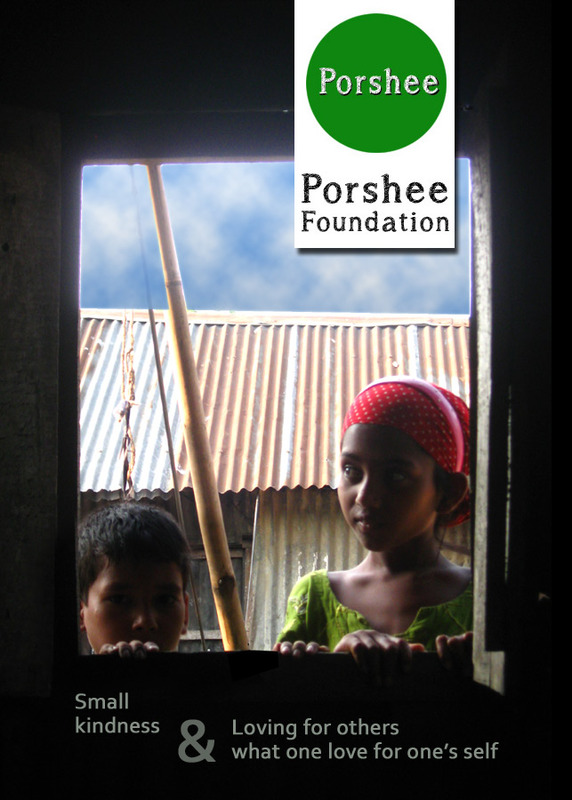 All those who are involved in Porshee Foundation have their separate source of Rizq (sustenance / income) Alhamdulillah, so that the money intended to be spent for the needy, goes to the needy at its maximum. We will appreciate it very much if you could spread the words to your friends and relatives who might be seeking trustworthy place to give during the Ramadan period where the door of generosity of the Most Merciful is opened and when our actions are aimed to purify ourselves both outwardly and inwardly, Insha'Allah. If you want to contribute your Zakat / Sadaqa prior, during or after Ramadan, you may donate through paypal or may write to us for Bank Information in USA and UK for direct deposit. To donate through paypal you may use the following Paypal donation button to pay directly. May Allah accept your generosity. Please keep us in your du'a so that Allah may strengthen our capacity to serve sincerely and diligently. Ameen. There are seven group of people whom God will draw under His own shadow, on the Day of Judgment when there will be no other shadow; one of them a person who has given alms and concealed it, so that his left hand knew not what his right hand did. * What is today's equivalent act of freeing slaves in the past?